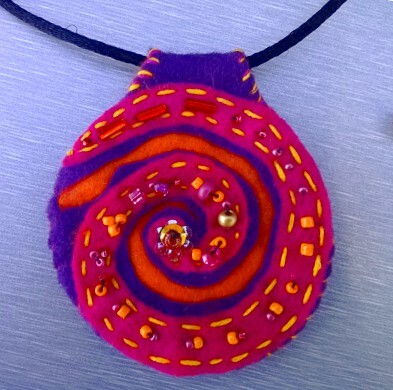 Spiral Felt Pendant with hidden pocket for crystals or other items. 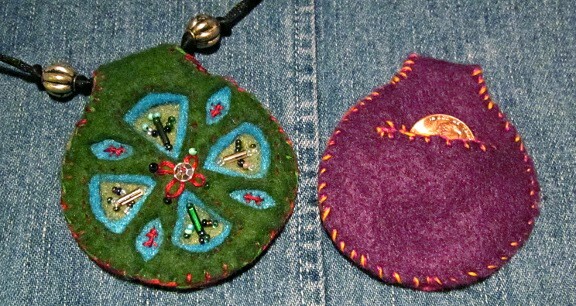 Fully hand stitched from Ecofelt. 2 1/2″ round. 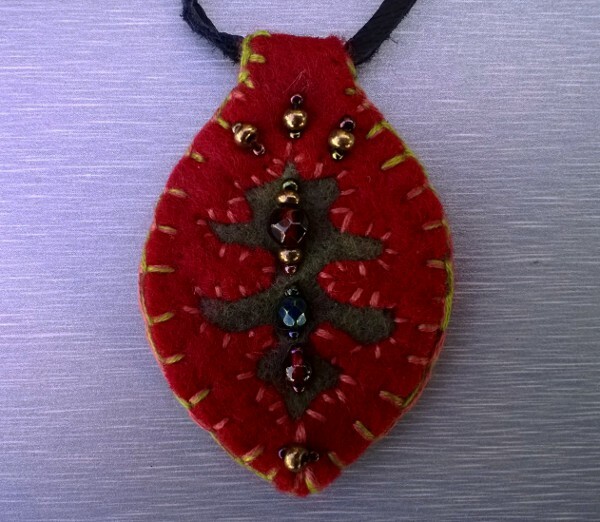 leaf shape felt pendant, fully hand stitched & bead embroidered using Ecofelt. 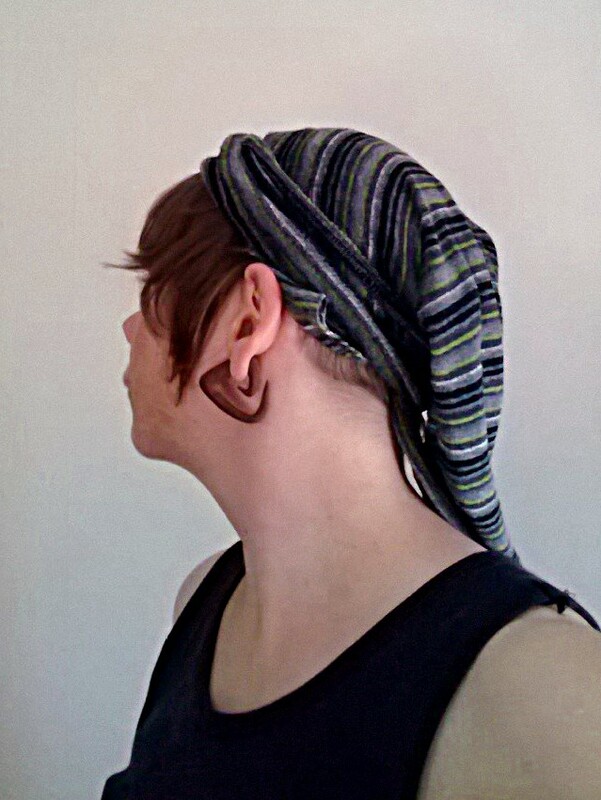 2 1/4″ long. 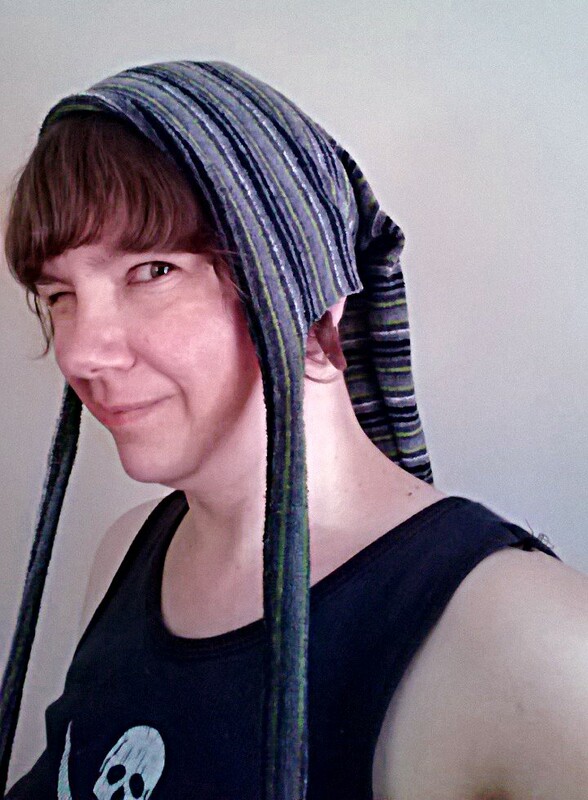 “elf hat”, made with stretchy reclaimed scrap fabric. 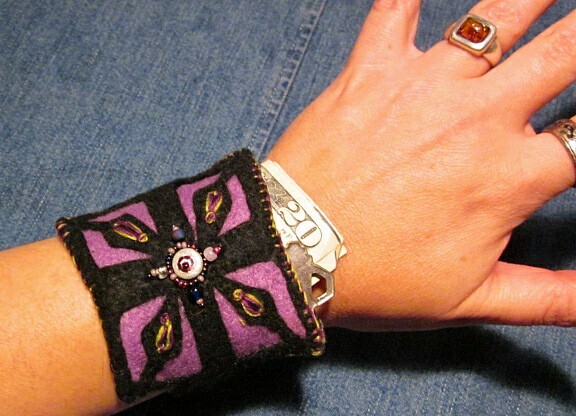 Can be worn in a couple of different styles. About 40″ long. 2013. 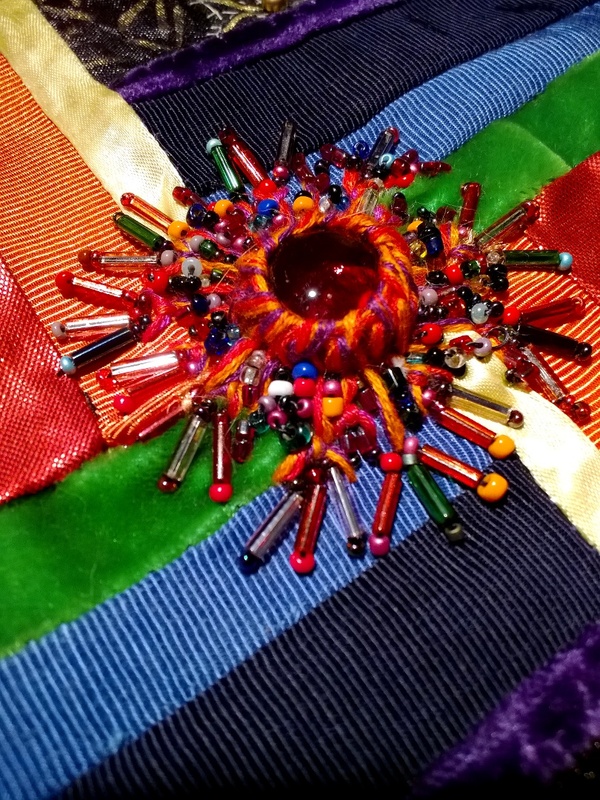 Center detail of Rainbow Patch showing bead embroidery. Rainbow Patch constructed of pieced ribbons laid in a Log Cabin/Seminole style with hand & machine embroidery & hand quilting. 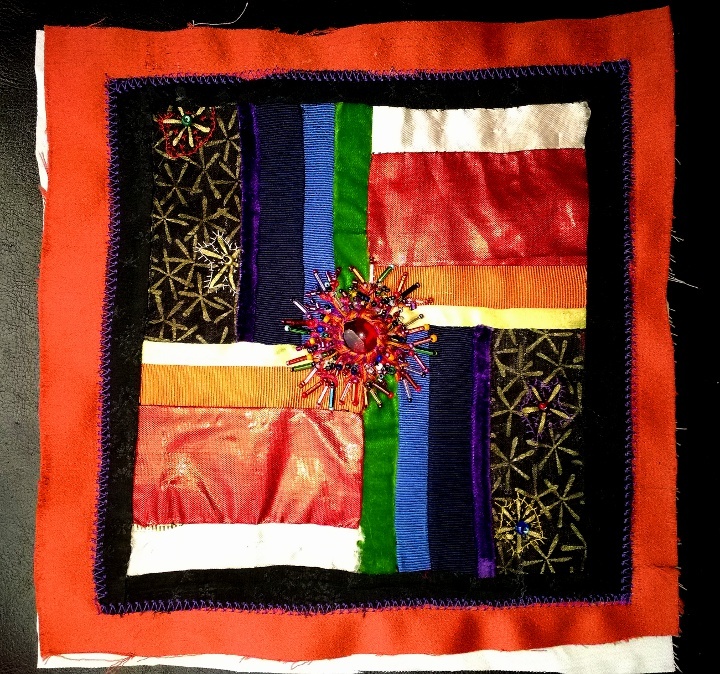 8″ square. 2014. 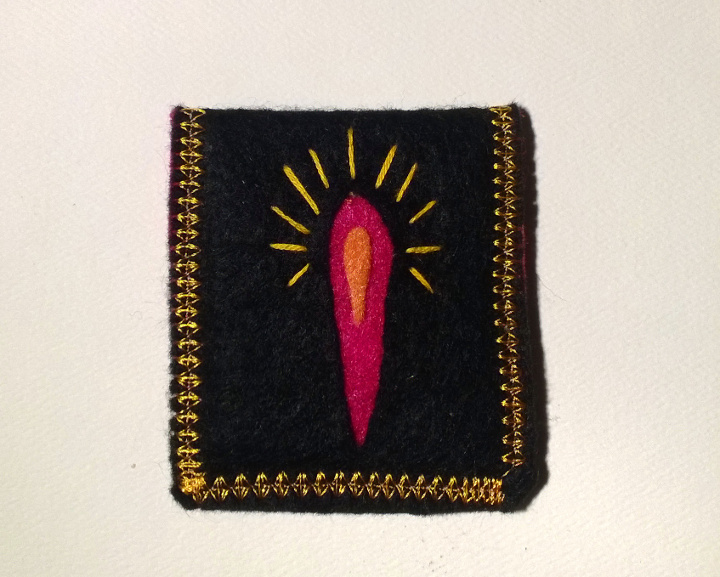 Goddess Pendant, all hand stitching and embroidery on EcoFelt. About 3″ long. 2013. 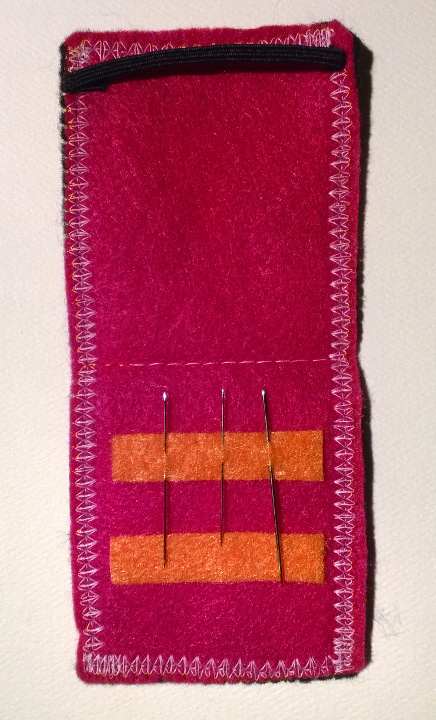 Felt Needle Book- machine and hand embroidered with layered felt applique’. Encaustic & Mixed Media on Plywood, 12 x 15″, 2009. Text is an excerpt from the Rules of the Road book; this was meant as part 1 of a several part series juxtaposing organic themes with “rules”, as this relates to human relationships. 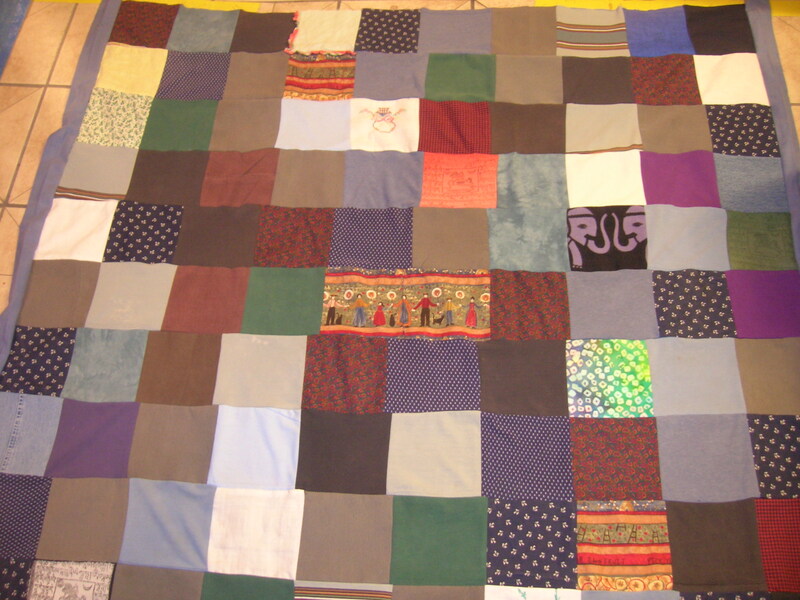 Comfort Quilt, recycled cotton, Approx. Queen coverlet size, 2009. A gift for my mother. 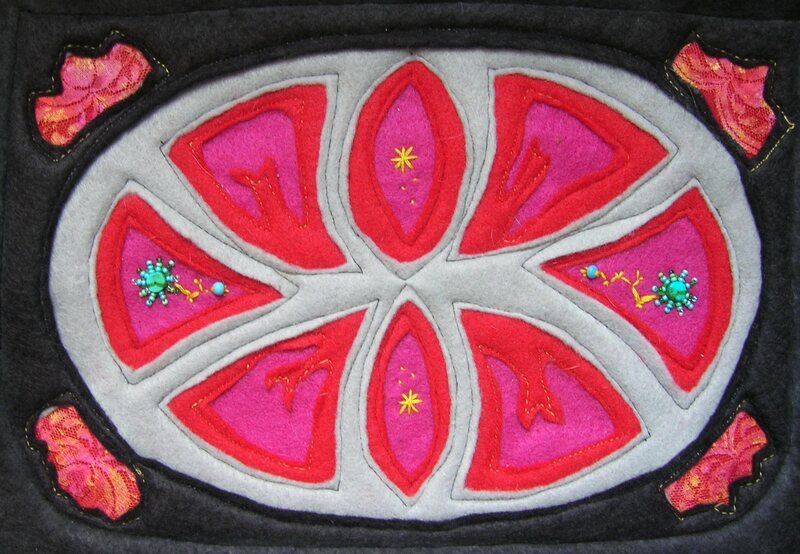 Love 2010, art quilt with mixed fibers/ribbon on wool felt backing, about 20 x 30″. 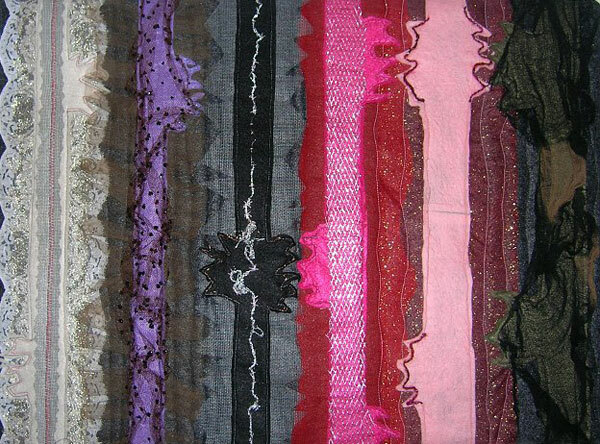 Completed for exhibition in the 2010 Love Show, Olympic Mills gallery, Portland, Oregon.